The Ref. 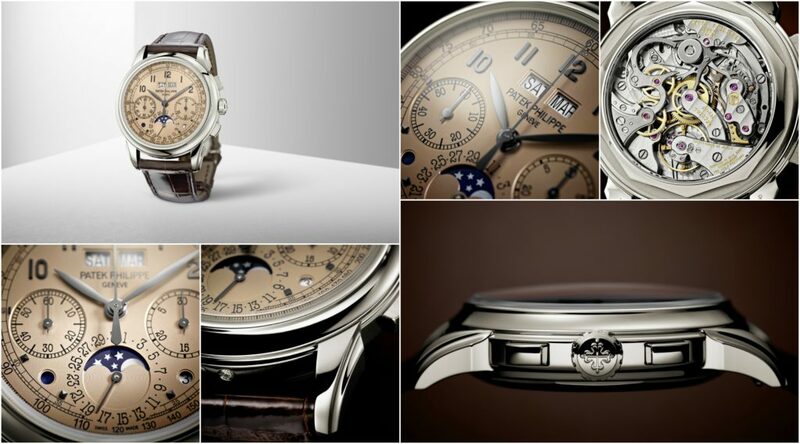 5270 Chronograph with a perpetual calendar continues a grand Patek Philippe tradition that began in 1941. It was launched in white gold in 2011, followed by a rose-gold version in 2015. Now, the manufacture pays special tribute to the technical finesse of this grand complication, introducing it in precious platinum for the first time. at 9 o’clock, and a 30-minute counter at 3 o’clock. These displays are complemented with two small round apertures for the day/night indication and the leap year cycle. 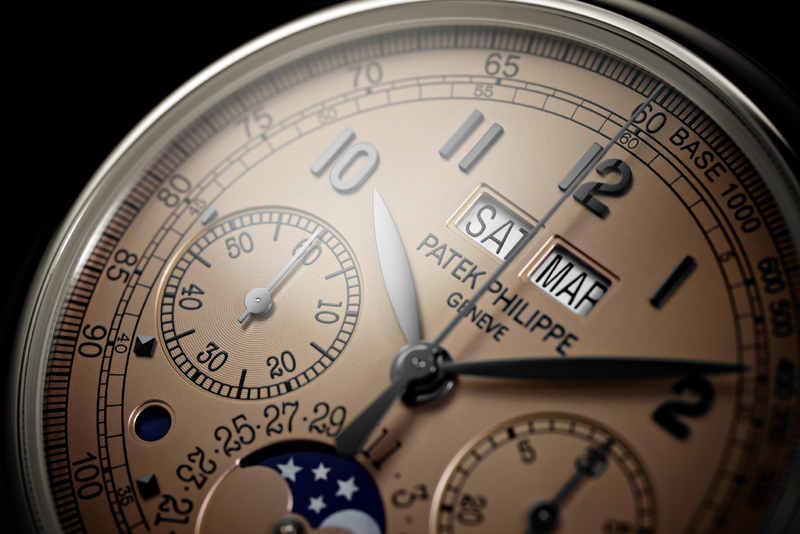 The tachymeter scale on the circumference of the dial allows speed readings with the chronograph hand. The caliber CH 29-535 PS Q movement, the very first chronograph with a perpetual calendar developed completely in the manufacture’s workshops, stands out with its classic architecture (horizontal clutch, column wheel, manual winding), the six patented chronograph innovations, as well as its extremely svelte calendar mechanism (182 parts with a height of 1.65 mm). The beauty of the movement can be admired with a glance through the sapphire-crystal case back that can be interchanged with a gold platinum back which comes with the watch.